There have been several films which took loads of time in its making. 'Mughal-E-Azam', 'Pakeezah', 'Andaz Apna Apna' and many other films are perfect example of all those films which were highly delayed but ended up churning out good cinema. Then, there were many other films which finally saw the release light but disappeared into the darkness. 'Jagga Jasoos' is one such delayed film, which finally sees its release date. The expectations are high due to its theme, star cast and few songs. 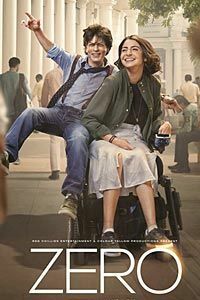 'Guest Iin London' is a story of Aaryan (Kartik Aaryan), who is in live-in relation with Anaya (Kriti Kharbanda) in order to get citizenship of the United Kingdom. A Pakistani officer Habibi (Sanjay Mishra) keeps his strict eye on this couple in order to avoid any fraud. Aaryan's world takes a drastic turn with the arrival of his long distance relative Chacha (Paresh Rawal) and Chachi (Tanvi Azmi). Chacha and Chachi takes over the control of Aaryan and Anaya's life and fails to go back to their home. The story on paper is highly interesting and thrilling. The movie starts with the childhood track which is emotionally connectable. The first case track explores the potential of Ranbir's detective senses and has been presented in a totally engaging manner. The second track involving Katrina Kaif tries to add the fun element in the movie. Technically, this is a fantastic film. Cinematography by Ravi Varman is of top notch. He makes you 'Jagga Jasoos' look and feel like an out and out Disney styled international adventurous film. The music by Pritam is worth applauding. Though, there are only six main songs, but overall the movie consists of around thirty songs. The background music is good and goes with the flow of the film. 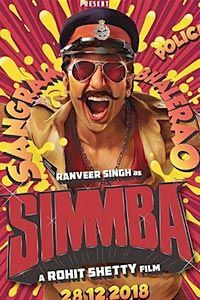 Lyrics by Amitabh Bhattacharya are fantastic, especially in the conversation scenes. Director Anurag Basu ventures into the alien world of musical thrillers and presents his movie in an international format. The presentation is totally stylish and matches up with the level of international films made under this genre. 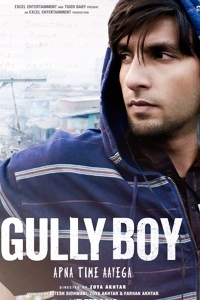 Ranbir Kapoor looks fantastic in this movie. His body mannerisms justify his character of a young detective and works in the favour of the film. The middle portion of the film is highly lengthy, dragging and boring at times. The final adventurous part is visually stunning, but lacks the excitement. 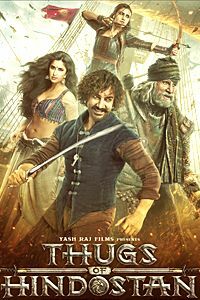 There is adventure, thriller, comedy, romance, emotions, mystery, chase and every other required element in this track but still lacks the soul. It's all due to the humungous length of the film and the lack of crisp story telling. Everything is conveniently placed in the film, without any hardship involved in it. Though, one cannot miss few last moment glitches which might be result of delayed release. Editing is remarkable in some parts, while in others it's equally opposite. 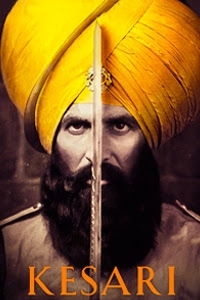 The movie is bit less than three long hours, due to which the intent of the film gets highly diluted and ends up being a tedious watch for its viewers. Despite of having everything, there’s a lot missing in this over ambitious project. It's not a bad film or does it have a potential to become a classic. It's just that you feel bad for all the hard work, effort, time and money spend on this movie as it fails to give the deserved returns. A tight screenplay with some soulful moments and good amount of editing would have made ‘Jagga Jasoos' a better film. Katrina Kaif looks good, but her character lacks the meaty elements. Saswata Chatterjee is superb in his part, but again a bigger actor would have been better for the film. Saurabh Shukla was average. Master Saravajeet is good in his part. Sayani Gupta, Rajatava Dutta and others are wasted. 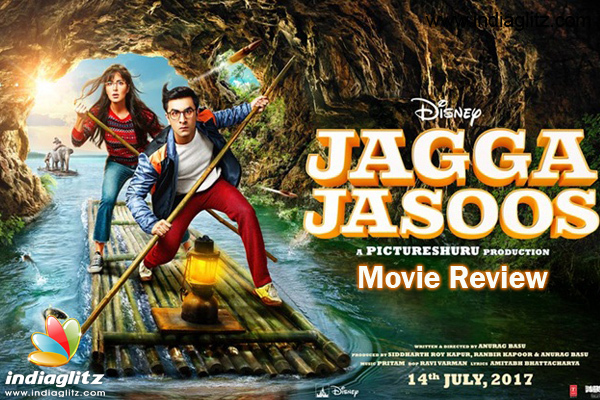 'Jagga Jasoos' is an over ambitious project which could have been a game changer film in Hindi cinema.